What is a Google Earth? 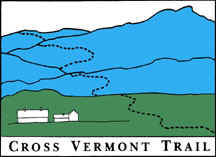 Once you have Google Earth installed on your home computer, simply click the link to the Cross Vermont Trail file. 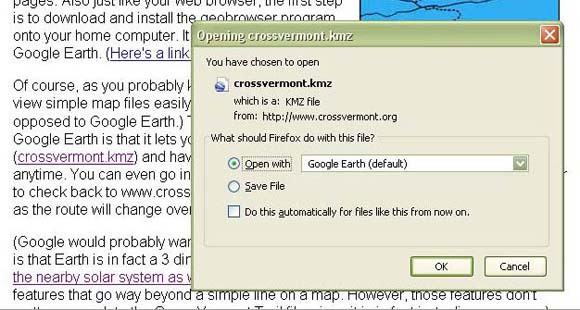 You can either Save File to your desktop, then open it whenever you like. Or you can Open With Google Earth to view right now, and save it to your desktop using the "Save to My Places" command in Google Earth's menu.